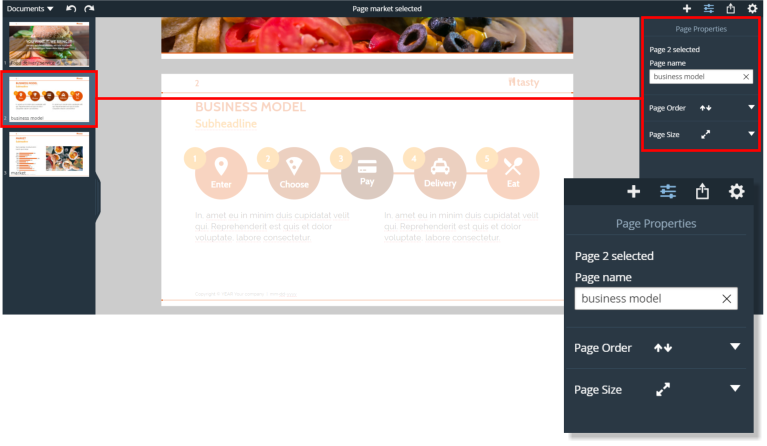 There are 2 ways to display the Page properties panel for individual pages in your document, either tap on the page thumbnail in the left side thumbnail panel or tap on the Page properties entry in the Document properties panel. The Page properties panel appears on the right side of the window. 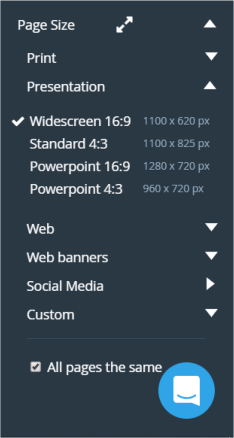 On the panel you change the Page name. 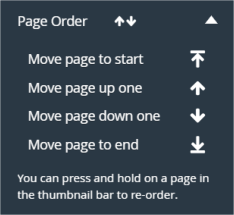 Tap on the Page Order and Page Size panels and they will expand. Just tap the icons to re-order the pages as described, or else tap and hold a thumbnnail in the thumbs panel on the left to slide the page to the desired position.